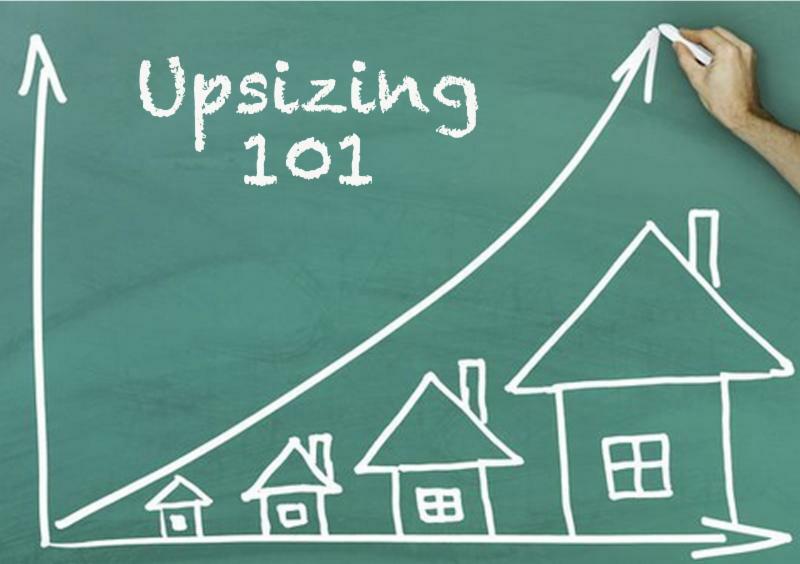 Reaching Your Financial Destinations: Is It Time To Upsize Your Home? Life rarely turns out the way we plan, and when a surprise comes along, it's usually not an opportunity to simplify our lives. If you're one of the many parents blessed with one more angel than you had planned for, you understand just how such surprises can make the simplest things much more complicated. Or maybe the innocent angel you've been raising has entered adolescence and wants some space alone. Or maybe it's gone the other way for you: You bought a house when prices were low and wages were tight, and now that you have some equity and a higher income you'd like to bump up your standard of living. You probably don't need anyone to tell you that a bigger house in a nicer neighborhood would be fantastic. If you could get the kids out from under your feet, you could go back to reading that book you never finished or start that workout regimen you've been putting off, or whatever it is that makes you want to plunk down your hard-earned money for a new home. Another alternative to upsizing your space is to move into the home of the future. That Cape Cod or Queen Anne you're in right now might be beautiful, but is it built for the 21st century? Are the speakers built into the walls? Is it set up for home automation? Or does it have that one bizarre room with no outlets, like some mid-century houses in the Midwest? For some people, particularly those with a home business, it can even be worth paying more every month if doing so moves you to a neighborhood with faster Internet. Baby Boomers have been upsizing their homes at a surprising rate, often moving into larger homes for retirement. Usually, people move into larger homes because they want the space and retirees presumably have an empty nest. Moreover, as we get older, it can be harder to lug a vacuum up the stairs or commit to mowing an enormous lawn every weekend. But Boomers have learned the value of luring others over, often choosing houses on artificial lakes or in gated communities with kid-friendly amenities. Suddenly, the big house is a blessing, because there's room for everyone at Thanksgiving! If you're wanting to cut down on your travel time or increase your hosting duties at social events, a bigger house might be just the ticket. You've been through this before, when you bought your current place. Buying a home is a little tedious and a lot expensive. As you're looking back on it, you might wonder why you'd ever go through that process again when it might be easier just to ask one of the kids to sleep in a tent out back or put up guests in a nearby hotel. The good news is that it's not going to be that difficult this time. You know what you're doing and you should have fewer surprises. You've got the down payment set up through the equity in your current home. And if you're already financing through [credit union], a new loan approval will be fairly quick and easy. If you're considering the idea of upsizing your home, now's the time for action. The dollar is gaining steam and plenty of economists are predicting we're likely to see interest rates go up at some point this fall. If you can get in before then, you'll save some real cash in the long run. It's also a good idea to act now because you can catch both sides of the housing recovery. If your home has regained its value, but you know a neighborhood that hasn't gotten back to full value yet, you can make a shrewd investment to get a bigger, nicer house in the other neighborhood and wait until that new home gets to the value it should have been selling at all along. Right now, you've got a great buy low, sell high opportunity. If you're ready, or you think you might be ready to think about being ready to upsize your home, give Destinations Credit Union a call. Rates are still fairly low. If you don't know if you can afford to upsize, give us a call anyway. Our home loan specialists can help you figure out if upsizing is the way to go, help you build a budget, or show you our construction and remodeling loans if you're looking to upgrade your new home before you move in.